Homeowners often question the time and expenses vs the value of obtaining permits while doing work on their homes, whether for repairs, upgrades, or new builds of the homes. The main reason for the permit process is to ensure work done fits or exceeds the current building codes for health and safety reasons. Building codes are revised periodically to reflect current findings and incorporate new technology in our ever-changing environment. One example is if one lives in the WUI (Wildlife Urban Interface) area where homes are more prone to wildfire, the building codes, depending on areas, can have special requirements for exterior windows, wall sidings and sheathing, under eaves, and decking. This recent Washington Post article about real-life testing of Florida’s newer building codes battered by Hurricane Irma, to see if buildings were able to withhold the rages of Hurricanes sheds a light on the importance of adhering to building codes. With the busy Holiday Season upon us, many will be rushing from one place to another; doing chores, shopping, visiting family and friends. This is also the time when we hear more about cars or houses being burglarized. We were burglarized many years ago by local teenagers. Not only did we lose many items that were sentimental to us, the sense of being violated is something you don’t ever want to experience! Novato Police Department sent out a Press Release back in 2015 with Tips on Burglary Prevention. I thought this is a good time to share it with neighbors. The Novato Police Department is committed to working with our residents to provide a safe and secure community. We would like our residents to be well informed partners in our crime prevention efforts. Every 15 seconds in the US, a home burglary takes place, but there are so many things we can do to dramatically reduce the chances of falling victim. Some of those home burglaries will be by scam artists who previously checked the homes out by posing as legitimate visitors, talking their way in and maybe even opening a window in a bathroom for easy access when they return. Some will be opportunists, who just happen to spot an easy target in a neighborhood — like an open door or window. And yet others will be experienced crooks who know how to “case a joint” without being noticed, and know all the tricks of the trade for breaking and entering. The average time it takes for a burglar to break into a home is less than a minute, and the amount of time they spend inside is little more than 10 minutes — though, posing as contractors or furniture removers, they’ve been known to take much longer and completely empty a home. Be a visibly nosy neighbor. Let anyone walking the neighborhood or sitting in a parked car see you watching them. Make a note of car license plates and if anyone behaves suspiciously or stays in their car for a lengthy period, call Novato Police at 415-897-1122. Tell close neighbors you trust if you plan to be away or expect any deliveries. If they’re in the know they’re more likely to notice something you didn’t mention and spot unexpected callers at your home. If you are going away, use timers to switch lights on and off at random, cancel newspapers, bring in your garbage cans, and put a hold on your mail deliveries — or, to guard your schedule, arrange for the trusted neighbor to collect them. Having a dog is a huge deterrent. Ironically, burglars are far more likely to avoid a house with a small dog than a big one — small dogs tend to be nervous and less easy to trick into calming down. They’re less trustful and bark louder and longer. Take a walk around your home, inside and out, to figure where the weakest link in your security might be — like leaving a window open in a secluded spot. High-risk places include the door from your garage into the house, back doors, side “breezeways” where a burglar would not be seen, and large shrubs close to the residence where thieves could hide. Take action to increase protection in these vulnerable places — like installing keyed window locks and deadbolts on doors and using toughened glass in windows and doors. Remove those shrubs. If you leave windows open on the second floor, make sure your extension ladder is locked away. Be wary about who you allow into your home and how much information you give about your belongings and schedule. This applies even with neighbors you don’t know or fully trust. Don’t leave valuables in view, inside or from outside the house. If you’re able, vary the times you leave and return home. If your household has several cars, vary who drives them, making it more difficult for an observer to know who is home and when. Make it tough for home burglary prowlers to know whether they’re under surveillance. Fake cameras can be good — but only if they could be taken for the real thing, not cheap plastic devices with flashing lights, which home burglars easily identify. Fake security stickers or signs don’t work either, but, if you have an alarm, real stickers and signs work. Control access to and around your property. Consider motion-activated lights. Neighborhood Watch, Video Surveillance, No Parking, and No Outlet signs can be effective against home burglary too. This way, would-be thieves know you mean business. Motion-activated cameras are another powerful weapon — both as a home burglary deterrent and, linked to a computer (and, better yet, to a home network), to record images of your unwelcome visitors. These days, these devices are inexpensive. Network-linked cameras costing around $85 can even email images so you have an off-site backup (it sends images automatically to a separate email account, so even if the camera is disabled, you still have the pictures online). An alarm system, preferably with a visible box outside the house, will not only deter crooks but sound an immediate alert of a home burglary. You might seriously consider a system that’s monitored 24/7 by a security company who will quickly notify law enforcement of an incident. Gates, both to your property and in gated communities, can also be a home burglary deterrent. Avoid creating temptation. Don’t leave things like lawn mowers and bikes unattended outside; lock them up. Close your garage. Inside, burglars are more likely to go for “middle of the road” valuables than expensive jewelry and appliances — because they’re easier to redeem for cash. Don’t hide a key. Home burglary crooks know all those “secret” places. Remember the three L’s of Crime Prevention: LIGHTS, LOCKS, & the LAW! LIGHT up your home, LOCK your doors, and call the LAW when you see something suspicious. 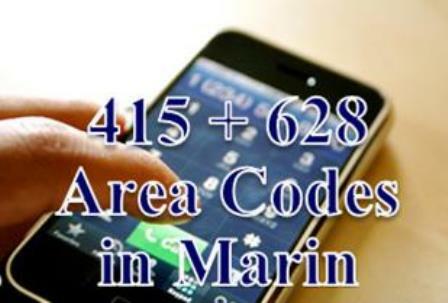 Get ready for new area code overlay ‘628’ being added to Marin and San Francisco starting March, 2015. New subscribers for local phone systems will be assigned the new ‘628’ area code while current subscribes retain their current ‘415’ area code. The only twist to the new area code for current subscribers with 415 prefix is the new procedure of adding 1-415 prefix to all local 415- area code calls. Per Marin IJ, “the biggest digital change for local residents who continue to have the 415 prefix is a new routine that requires dialing or tapping 1-415 before a local number — starting Saturday. It’s as if you were making a long distance call, although local rates remain the same. On this Labor Day weekend, I thought I will provide a quick update on the Novato Real Estate Market since my last blog post on Aug. 21 to the end of August. Below are statistics of Single Family Residences (SFR) and Commen Interest Developments (CID/Condos) that are either new on market (Active), under cotract (Contingent), Pending (All cotingencies removed) and Sold during the 10 day period. I also included breakdown of single family residences that are new on market or sold during the 10-day period by price range. A quick glance at the statistics on 08/31/2012 supports a strong sellers’ market. Fun facts – The lowest price SOLD single family home during the period is a small Black Point home with a private hill top setting, closed at $270K. On the other spectrum, a beautifully top to bottom, completely redone single story home, 4 bedrooms, 2 and half baths, 2358sf home sited on close to 1/5 acre lot on Mill Road, priced at $699K, quickly went into escrow with multiple offers and closed in 20 days at $800K; an all cash purchase. A Bel Marin Keys on the water house closed at $865K and a single story Country Club home on the Golf Course closed at $915K, both homes are nicely updated; while a Stonetree Home, 4700+sf, one of the hard hit areas by the depressed market, closed at $1Million, was the highest priced sale of the period. Have a Wonderful and Safe Labor Day Weekend! (*) Data collected from the local Multiple Listing Services (BAREIS – Bay Area Real Estate Information Service). Are you like most of the other property owners who like to wait until the last day to pay your property tax? The deadline for payment of the first installment of the 2010-11 county property tax bill is 5 p.m. Friday, Dec. 10. Payments must be postmarked by Friday or delivered to the tax collector’s office at the Civic Center no later than 5 p.m. that day to avoid a 10-percent penalty. Property taxes may be paid online at http://www.co.marin.ca.us/paytax or by phone at 800-985-7277 with either a credit card or electronic funds transfer. The second tax payment is due April 10. For more information, including programs helping those who cannot afford their tax bill, call the tax collector’s office at 499-6133 or visit http://www.co.marin.ca.us/taxes. Buying or Selling a home and need to order a city resale inspection or clarify items on Novato City Resale Inspection report? Planning a remodel or upgrade to your home? Questions about permit issued, permit required, permit cost; correction actions (new permit, finalize permit, demonishment, code enforcement, code compliance); procedures, documents, forms, costs,.. etc, etc. Any other city related needs and/or activities? For seniors who need a place to go and meet during the holidays or organizations that need a place to meet or hold parites, fairs, classes? All that and more … Make sure you plan your activities around the city office closure dates posted 12/01/10 and notifications sent 12/03/10. All City Administrative offices and facilities, except the Police Department, will be closed for at least the last two weeks in December due to the holidays and employee furloughs. The Police Department will operate as normal. As always call 911, if there is a life threatening emergency. In case of a non-life threatening emergency during this period, please call the Police Department at 897-4361. MARIN, SONOMA, S.F. BAY AREA REAL ESTATE – Beveldere, Corte Madera, Greenbrae, Kentfield, Larkspur, Marinwood, Mill Valley, Novato, San Anselmo, San Rafael, Sausalito, Tiburon; Cotati, Penngrove, Petaluma, Rohnert Park, Santa Rosa. Starter Home to Luxury Property. REO (Bank Owned), Short Sale, View Homes, Architectural Distinctive Homes. Investment, 1031 Exchange. Fannie Mae is offering buyers up to 3.5% in closing cost assistance on HomePath properties through December 31, 2010.
the initial offer must be submitted on or after September 23, close within 60 days of offer acceptance and close on or before December 31, 2010. No bonus will be given for investor purchases. Buyers must request incentive upon submission of initial offer in order to be eligible. Note: Offers submitted after November 15, 2010 may be difficult to close by incentive deadline of December 31, 2010. The 3.5% seller contribution is to be used towards closing costs, including a home warranty, if desired and available. Retail and public entities are eligible for the incentive however pool and auction sales, and sales to investors are not eligible. Fannie Mae reserves the right to remove any property from promotion or end the promotion at any time. Any dispute over the payment of a bonus shall be resolved by Fannie Mae in its sole discretion. Buyers should consult their lenders for guidance on financing. Lenders and mortgage products may impose their own limitations on the use of the 3.5% incentive. For example, the lender may consider the incentive a Seller Contribution and limit the amount to 3.0%. In those instances, the remaining 0.5% will no longer be available to the buyer. The bill essentially allows homeowners who defaulted on the mortgage that are part of refinance of the original purchase debt to limit their liability to the property itself; same as the treatment of the original ‘purchase money’ loan. The bill moves to Government Schwarzenegetter for signature and if signed, will become effective June 2011. LOS ANGELES (Aug. 19) – The California State Assembly today approved SB 1178 (D-Corbett) by a 49 to 14 vote, extending anti-deficiency protection for consumers who have refinanced their original mortgage loans and now are facing foreclosure. The CALIFORNIA ASSOCIATION OF REALTORS® (C.A.R.) is the sponsor of the consumer-protection legislation. Under existing law, if a homeowner defaults on a mortgage used to purchase a home-commonly referred to as a “purchase money mortgage”-the homeowner’s liability on the mortgage is limited to the property itself. However, homeowners who refinanced the original purchase debt, even if only to obtain a lower interest rate, were not extended the same protections. SB 1178 corrects this unfairness and extends the same protections to consumers who refinance their home loans. “Cash-out” debt for home improvement or consumer expenses is not protected by SB 1178. Similarly, additional new debt secured by the home, such as a home improvement loan, is not protected-only original acquisition debt. SB 1178 now moves to Gov. Schwarzenegger for his signature. If signed, SB 1178 will become effective June 2011. Living Green? Small Space? Check out the Space Saving Furniture! “Green Living” is not limited to only use ‘Green’ products such as energy efficient appliances, water saving faucets, shower heads, toilets, bamboo flooring, recycled water, drought resistant plants, solar energy, double/triple paned windows, reuse building material, no VOC paint, and such. Today, a friend of my shared a video of space saving furniture, which I thought would fit in nicely with green minded, sustainable living friends. these furniture has intelligent design where each piece of furniture has several purposes and fits in a tight space, are artistic an allow for smaller space thus reduce footprint of the new building design. On a practical side, for friends or college kids who live in small apartments, houses, dormitories; these furniture allow them to have better quality of life while dealing with the tight space. Prepare Your (Marin County) Home for the High Wild Fire Season – An Annual Exercise! Living in Marin and Sonoma Count, San Francisco North Bay, and for that matter, the San Francisco Bay Area as well as the entire state of California, we are constant on “High Fire Alert” during the dry summer seasons. With the state budget cut, which deeply affected the state, county park as well as municipal fire department budgets, it is with even more urgency that homeowners heed to the advise and guidelines on how to prepare yours homes for the fire season during the next few months. The more “yes” answers you have, the more prepared you are in the event of a wildfire threat. Fire-resistant roof i.e. metal, tile, composition? Wooden deck facing or overhanging level ground? Large glass windows, facing level ground? Deck, porch, vents or house screened to keep sparks out? Chimney extending above the roofline? Chimney spark arrester in place? Roof and gutters clean of debris? A fire defensible space (D-space) zone of 30 – 100 ft? Adequate clearance of weeds, tall grasses and brush? Trees pruned 10 ft up from base of trunk? Debris cleared from beneath trees and near structures? Tree limbs pruned at least 10 ft from roof or within 15 ft laterally from chimney? House location or address clearly marked (3 inch letters)? Small amounts of mulch used near wooden structures? Firewood and other burnable items stored at least 30 ft from the house? Easy access to home by emergency vehicles? Road grade less than 15% (not steep)? Road wide and accommodating to two-way traffic? Road straight with wide turns? Large areas for vehicles to turn around? Short driveway from main road? Home area level and easily plowed or raked for fire line? Multiple roads into and out of developed area for safe and easy access and evacuation? Non-pressurized or dry hydrants available? Water sources such as ponds or streams accessible? Power lines buried and not susceptible to fire? Well pumps maintained with uninterrupted electricity? 1. Cut grass and weeds, rake leaves and pine needles and remove yard debris and branches. 2. Relocate woodpile and left over building materials at least 30′ from house. NOTE: It is best to not locate the woodpile directly uphill or downhill of any structure. 3. Signs, address and access are well marked, and visible both night and day. Reflective numbering/lettering that is 3″ or larger is recommended. 4. Prune dead and low-hanging tree limbs 6 to 10 feet from the ground around house. Remove all dead vegetation in brush and shrubbery. 5. Store all gas, oil and other chemicals away from the house. This includes propane tanks on BBQ pits. 6. Keep roof and gutters free from leaves and needles. 7. Enclose spaces under porches, decks, foundations and overhangs, and roof/attic vent openings with 1/8″ metal screening. 8. Have garden hoses connected on all sides of your house. 9. Place tools (such as ladders, shovels, rakes and hoes) for easy access to fire fighters. 10. Check driveway for adequate clearance for emergency vehicles. (Both height and width). 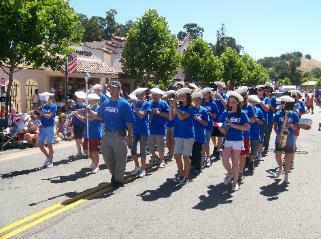 Novato, California, the north-most town of Marin County, just north of the Golden Gate Bridge, celebrates July the 4th with, among other activities, a July 4th parade through old town Novato. Between 8-11AM, the local Presbyterian Churchoffers their infamous Buckaroo Breakfast (2010 will be their 57th year doing this) with proceeds benefiting a Novato community mission project, such as Homeward Bound, Novato Human Needs, or Marin Food Bank. A place to gather, get some comfort, yummy breakfast; and say Hi to your friends and neighbors! 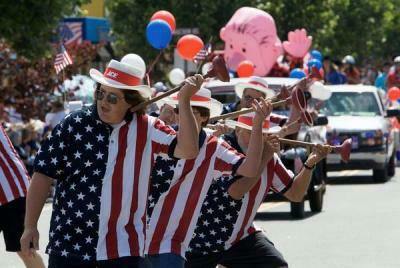 I had never be ‘IN’ the Novato July 4th parade before until the parade last year, 2009. A few times whenI went to the parade, I was a bystander, watching for my then young sons marching down Old Town Grant Avenue as part of Novato Summer Music Institute Marching Band. It was fun watching them, but I had never be IN one before. The parade drew record entries and record crowds. Presumably the difficult economy kept a lot of people home during the summer; but being in Marin for the summer can not be considered a hardship, I have to say; and the 4th July parade reinforced the hometown feeling of being in this beautiful town. The parade had 200+ entries and celebrated the many facets of Novato: The ones who protects us so we can be safe – WWII Surviing Veterans, Marine Corp Color Guard, Air force airplane flyover, Pacific Coast Guard, Novato Fire, Novato Police; Our Future Manyy student groups – the Novato Summer Music Institute, Five Charming Lads from San Marin, San Marin Jazz Choir, Marin Summer Theater, Novato Unified School District, Various Novato schools and Novato School Fuel thanking Novato for passing Measure A+ for Kids campaign; dace clubs, Taken do clubs, ….. Politicians or politician wanna-bes; the Peace Group with Cranes representing lost lives in wars: the perennial entry of fleet of antique tanks and military vehicles (a private collection by the owner of Marin Sanitary, Joe Garbarino’s WWII Military Museum), Bushmills Irish Pipers band of San Francisco, Petaluma Riding and Driving Club Senior Drill Team, A 3-Plane Fly over, Basset hound parade (yes, hundreds of them and their proud owners; the bystanders thought they are awfully cute), the horses and owners (Novato is famous for our horse properties in Indian Valley, Vineyard, Atherton, green point, black point). MY personal favorite, other than the Pengium Empire float, of course, is the Pini Hardware Plunger Brigade, last year, with an automatic toilet built by Penguin Empire adviser Mike Sousal. Pini Hardware did a garbage can dance one year which was very cute seeing those big man dancing :-). (Pini Hardware is a small local hardware store famous for personalized attention. Novato waged a war against Home Depot moving into town because of Pini Hardware, and the big box shop blinked – Novatans are good at keeping the town away from big corporations); anti-tax protesters, archers, musketeers, Coast Guard Strike Team, and many more groups. It’s also fun to see so many friends and neighbors out there watching and enjoying the parade. Novato, a town of 50K+ population, a lay-back and very friendly town can seem so small and personal where we seem to know and care about everybody! I was busy waving at my friends the whole time. Here are a few pictures to share with you; many are courtesy of Nvato Advance and some are my own collection – sorry, I was too busy to be IN the parade, and did not take as many pictures as I would have liked! Yes, this is the Novato July 4th Parade in 1908 (102 years prior)!!! The Novato Fire – kids love the Fire Engines and we love them, especially with the dry, high fire summers in California! San Marin Pengium Empire Robotics Team (I sit behind the Igloo). The float won one of the first place awards. I will be with the Penguim Empire Float again this year, but look forward to sharing some pictures from the 2010 Novato July 4th Parade with you! Updated July 1, 2010 – US Senate Passed this Bill and it is now at President Obama’s to be signed. June 29, 2010 – US House extends Closing Deadline for First Time Homebuyer Tax Credit to 09/30/10 if they are in contract as of 04/30/10. The homebuyer has to be in contract before 04/30/2010 and now close by 09/30/10 (instead of 06/30/10). This bill is going to the congress and is expected to pass. This is in part due to the slow process by the lenders and loan servicers during the loan approval and loan funding process where two months escrow might not suffice to close escrow. However, I also fee the benefits to First Time Homebuyer in contract on Short Sale properties due to the notorious slowness in lender approval of short sales. Hopefully the ones that are in contract on short sale as of 04/30/10 will also get the up to $8,000 tax credit if they close by 09/30/10. There is also the California Tax Credit of up to $10,000 which expires 12/31/10 – unlike the federal tax credit, this tax credit has to be claimed over a three year period. It’s been quite sometime since I published a Novato Markret Overview. 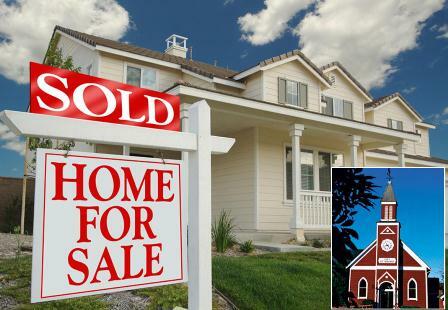 As I have told interested parties – the market is hopping for homes that are entry level homes, attractive to both first time home buyers and investos; but can be quite challenging for high-end or move-up homes. Vey clear drop in % in escrow happens between $700K and $800K, with a steep drop from sellers market to buyers market; this might have something to do with the Jumbo Conforming loan cut off point of $729K. However, homes are very competitively priced and in great conditon can go into escrow quickly, no matter where the price point is. The Annual San Marin Neighborhood Garage Sale sponsored by San Marin Improvement Association (www.SanMarin.org) is schedule for 9am-1pm, Saturday, September 17. 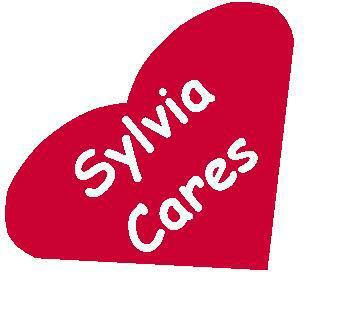 Same as in previous years; please email your garage sale to me at Sylvia@SylviaBarryRE.com by Friday, September 16, 2PM, and I will put you garage sale on www.SanMarinGarageSale.com as well as include it in the Garage Sale Map I will print out for bargain hunters. Please note that Novato Disposal stopped Fall Clean Up date this year. Instead, homeowners can call Novato Disposal for special pick ups four times a year. Please call Novato Disposal (415) 897-4177 for details. Please come back for updates. A ray of hope has just been offered to some homeowners with properties that are seriously upside down, according to the California Association of Realtors. In order to help a broader range of distressed homeowners and offer relief to the housing market, the Federal Housing Finance Agency announced on Oct. 24 that the mortgage relief program HARP — the Home Affordable Refinance Program — has just been expanded. Per FHFA, Fannie Mae and Freddie Mac have helped approximately 9 million families refinance into a lower cost or more sustainable mortgage product, approximately 10 percent of those via HARP. HARP is unique in that it is the only refinance program that enables borrowers who owe more than their home is worth to take advantage of lower interest rates and other refinancing benefits. One of the biggest hurdles for borrowers who are current on their home loans and are considering refinance is the fact that the equity on their house is too low to qualify for a refinance. Until now, Fannie Me and Freddie Mac would only allow fixed-rate mortgages if the borrower’s property stays under 125 percent loan-to-value. This requirement prevented many upside-down borrowers from refinancing to take advantage of the current low interest rates that they desperately need. The enhanced HARP guideline lifted that restriction. Other HARP program enhancements effectively reduced certain fees associated with the refinance as well as eliminated the need for a new property appraisal if the FHFA has a reliable automated valuation model estimate. 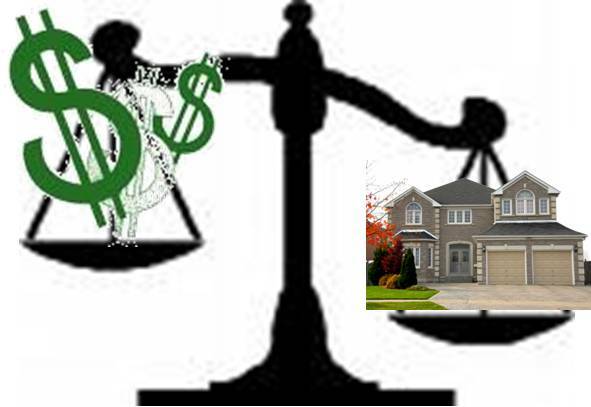 Both allowed cash strapped borrowers the ability to refinance without the steep fees a refinance might require. The HARP program, schedule to expire at the end of 2011 has now been extended until the end of 2013. New federal guidelines for the HARP changes should be released to mortgage lenders and servicers by Nov. 15. 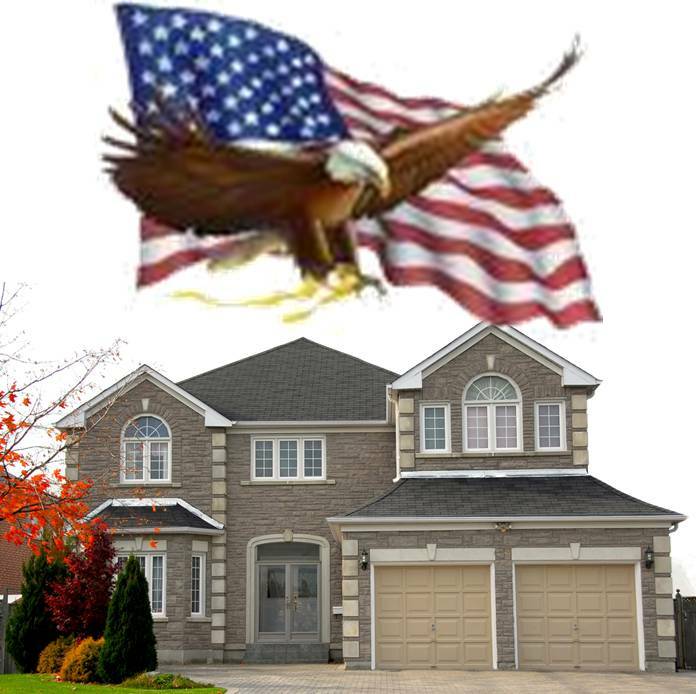 Existing mortgage loan must be owned or guaranteed by Fannie Mae or Freddie Mac. Borrowers can check whether they have a Fannie Mae or Freddie Mac loan by going to http://www.makinghomeaffordable.gov/get-assistance/loan-look-up/Pages/default.aspx. Existing mortgage loan must have been sold to Fannie Mae or Freddie Mac before June 1, 2009. Existing mortgage loan cannot have been refinanced under HARP previously (except for Fannie Mae loans refinanced between March and May 2009). Current loan-to-value (LTV) ratio must be more than 80%. Existing mortgage loan must be current, with no late payments in the past six months, and no more than one late payment in the past 12 months. Words of Caution: Remember my previous blog about SCAMs – Too Good To be True, Then Beware? There are a lot of scammers out there to take advantage of distressed homeowners at their most vulunable stage. Before engaging services that promise to modify your loans or save your home from being foreclosed on, make sure you check out the FTC Mortgage Assistance Relief Services Rule that outlaws advanced fees and false claims and requires clear disclosures from the servicers. More information about HARP is available from FHFA.